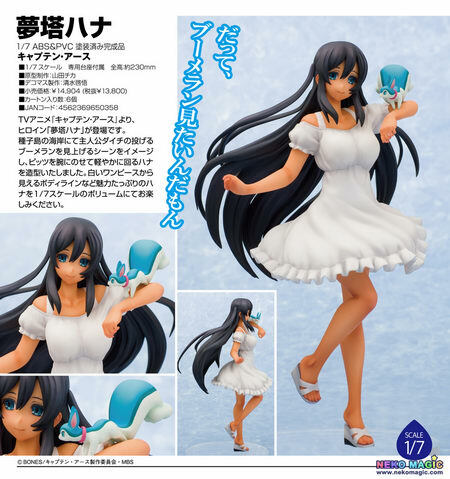 July 9th, 2015 By: GGT Category: 2015/11 release, Figure News. 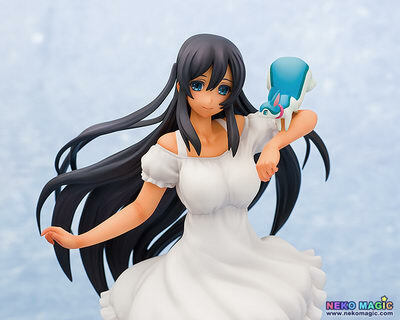 Aquamarine is going to release the Mutou Hana ( 夢塔ハナ ) 1/7 PVC figure from the anime “Captain Earth” ( キャプテン・アース ). Will be released in November 2015. Around 230mm, 13,800 yen. 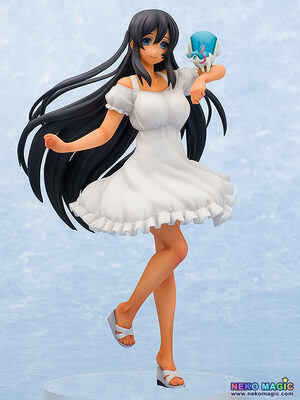 From the anime series ‘Captain Earth’ comes a 1/7th scale figure of Hana Mutou. 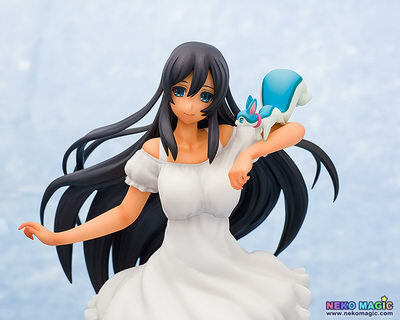 She has been sculpted based on the scene where she sees the boomerang thrown by Daichi on the beach of Tanegashima Island. 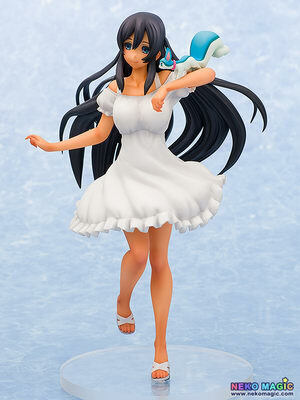 Her little partner Pitz sits on her arm as she whirls around in a lovely dynamic pose. 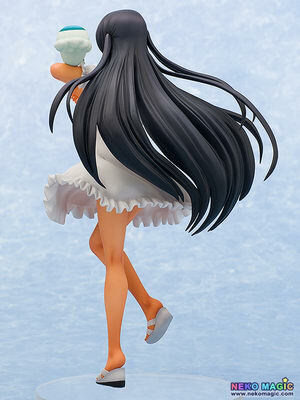 The white one-piece dress shows off her body’s curves for a charming 1/7th scale figure that fans are sure to enjoy!